Our core values are simple: honesty, courtesy, and hard work. We believe a successful moving experience can be defined by those three words. Honesty — We think this may be the most crucial of the three core values. You are inviting us into your life and home. Honesty must come first. Courtesy — We have the distinct privilege of serving you and your family. We think a warm smile and a “yes ma’am” goes a long way. Excellence — We firmly believe that everything we do should be done at the highest level of quality. We expect the very best from our herd, and you should too. Hard Work — Last but certainly not least! No one sings our guys to sleep at night. That armoire you had us move does the trick nicely. We fully expect to earn your trust by working hard from start to finish. We understand that our clients deserve peace of mind. That’s why we provide proof of insurance to every client we serve. We cover all four major areas. General liability, auto liability, cargo liability, and workman’s comp. Furthermore, we want to ensure our clients have a full understanding of what valuation is and how it works. In late 2007 Wayne, Wade, and Derek were tired of living in a cubicle and the water-cooler banter that came along with a corporate career. Throwing caution to the wind they set out to find a business that fit their passion for providing first class service. After a few months of searching they decided to start Square Cow Moovers. The company’s first move? Hauling their furniture and boxes far from their deep south Alabama roots towards the great state of Texas. 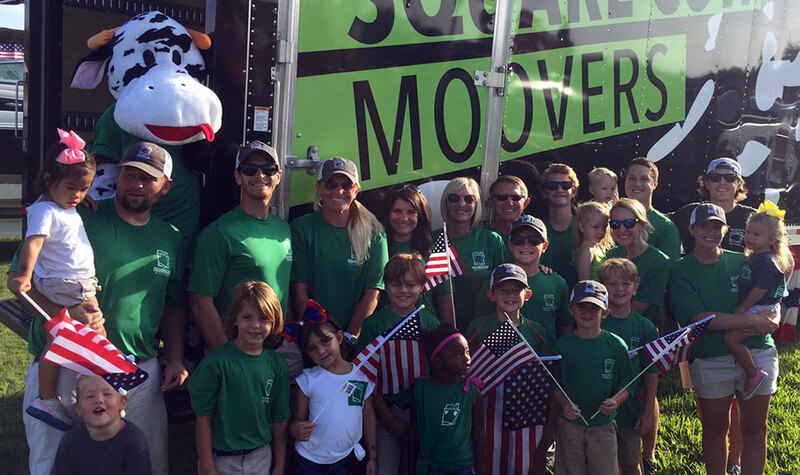 With just two trucks, no moving experience and a troubled economy things looked grim; but with plenty of blood, sweat, and tears the Square Cow “hoof print” continues to expand.